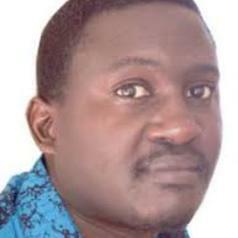 Jimmy Spire Ssentongo holds a Diploma in Philosophy from the Philosophicum of the Apostles of Jesus in Nairobi; a Bachelors of Philosophy from Urbaniana University in Italy; an MA in Ethics and Public Management from Makerere University; a Master of Science in Education for Sustainability from London South Bank University; and a PhD from the University of Humanistic Studies, Holland. Jimmy teaches Ethics and Research at Uganda Martyrs University and, on part-time basis, at Makerere University. He currently heads research and publication in the School of Postgraduate Studies and Research at Uganda Martyrs University and is the Chair of the Center for African Studies at the same university. As a self-trained artist, he also works as an editorial cartoonist for The Observer - a tri-weekly independent newspaper.